Visitors on your site turn into customers after considering so many factors. Product reviews play a vital role in influencing the buying decisions of customers. According to studies, over 80% consumers in the United States read reviews most of the times before purchasing a product. And over 90% consumers in a study has said that a positive review of a product inspired them to purchase it. This figure should be quite a motivator for all the WooCommerce store owners who are trying to grow their business. This article focuses on how WooCommerce review plugins can help improve your review strategy in general. The focus will also be on tips to ensure more reviews on your store. There are many apparent advantages in having reviews on your WooCommerce product pages. Let’s look into some of them. A 2016 study has pointed out that trust is declining among people in all walks of life. However, an interesting aspect of that study is that online shoppers trust fellow customers as much as they trust an expert professional. 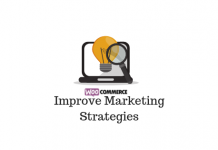 This is an important aspect that can be used to great advantage by WooCommerce store owners. Most of the businesses who set up a store using WooCommerce will be keeping it as a small venture. It is quite an arduous task for strangers to spend money on your products when they have not heard much about you. Interestingly, product reviews are a great way to build trust for your store among potential customers. However, it doesn’t mean that product reviews alone would build trust on your business instantly. Building trust is a slow process, and sometimes including a business review, along with product reviews, can help. It is important to have an authentic review strategy too. If you choose not to display negative reviews on your store, it might appear fake. This will make the situation even worse for you. So, make sure the reviews displayed on your site are genuine, and preferably from verified owners of the product. Overall, reviews on your site should add to the credibility of your site. The reputation of your brand and business should increase with the help of a varied mix of genuine personal opinions through reviews. Reviews have an impact on your search ranking as well. With new content regularly adding to your site in the form of reviews, Google bots judges your site better. Improving the credibility of your site can also help in search ranking. Another aspect is that potential customers might specifically search for reviews associated with your products. This can help to boost traffic to your site, and you can even set up product reviews to show up in Google searches. As mentioned earlier, reviews play an influencing role in the purchase decisions of online shoppers all around the globe. More than 80% of participants in a survey said both positive and negative reviews impact their buying decisions. This is a huge factor, when online shops, in general, face a lot of cart abandonment. Along with the increasing conversion, if you manage to get more reviews, there will be an organic growth in your credibility. With the increase of competition in every field, the form of reviews is also witnessing innovative changes. For example, video reviews are increasingly becoming popular these days, and a lot of potential customers can relate it better than text reviews. Inventive use of social media is another area that you can combine with a good review strategy. Social media influencers in your domain can play a huge role in popularizing some of your products. Setting up reviews on your WooCommerce product pages is quite easy. 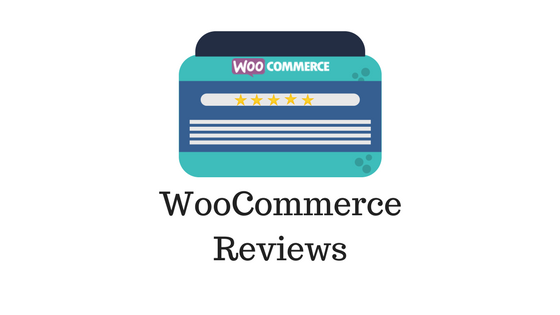 WooCommerce offers a review option with reasonable features out of the box. You can manage the basic review functionality on your store with this. Find the settings for this under WooCommerce > Settings > Products. WooCommerce out of the box settings for reviews might be enough for you when starting out. Display a label on reviews showing “verified owners”. Limit reviewing capability only to people who have purchased the product. Enable star rating for your products. An option to make star rating mandatory, so that without the rating can’t leave a review. Out of the box, WooCommerce review settings might be enough when you start out. However, when you are actively focusing on reviews as an important part of your store strategy, you may need additional help. WooCommerce review plugins can help a lot in providing several additional options to your review features. Let’s look into some of the best WooCommerce review plugins. With over 80% of all eCommerce customers actively consider reviews to decide the merit of your product, you can’t take it lightly. WooCommerce Product Reviews Pro provides great options to make your product reviews more interesting. With additional review capabilities and discussion options, your customers will get a better perception of your store. the extra functionalities include adding photos and videos along with a product review. Also, you can add specific questions about the user experience of a product using review qualifiers option. When multiple contribution types are enabled, you get to choose which ones you need to keep as part of the review strategy of your site. For example, you can decide whether you want to accept a particular contribution type according to your store strategy. Video reviews might be good for certain specialized products, whereas customer questions might help feature-rich products. Another important feature that customers normally associate with reviews is the ability to filter and sort. Options to sort out the recent or the most helpful ones or the ones with the best star rating will help a lot when potential customers are researching your products. It also has options to prevent duplicate reviews, which can be a bother if you are using the basic review feature of WooCommerce. That means, your customers who have already contributed can only update their review, not add another one to the same product. Similarly, allowing social media logins would encourage more customers to log in to your site and leave a review. This extension works smoothly with WooCommerce Social Login. With this extension, you can moderate product reviews at a different location, which is different from your blog comments. This makes the review management process more streamlined. Your customers also get a chance to view all their contributions at one place. Customers will also have the option to ask for a notification sent to them when a comment is added to a particular review thread. You can purchase the extension for $79 for single site subscription, $129 for 5 sites and $179 for 25 sites. Another popular plugin that offers additional features for your reviews is YITH WooCommerce Advanced Reviews. It promises to provide the extra visibility and consequently, a boost in your conversions. Your customers will be able to evaluate the usefulness of a review on your store. They can also sort them according to different criteria like ‘most helpful’. Furthermore, the option to allow replies to reviews would encourage a sort conversation between users. According to your store strategy, you can choose to allow reply or not. The features of this plugin have the potential to create an authentic review strategy for your store. This plugin has the potential to help you take your review strategy to another level. Users can add a title to their review so that the mood of the review can be easily grasped by readers. Also, there is an option to add an attachment to the review, like a photo. The star ratings for your products can be displayed in an organized way showing the percentage value of each rating. Additionally, users will have the option to vote for other reviews. This will increase the chances of fair reviewing on your store. There is also an option to report inappropriate reviews. Like the WooCommerce extension, this one too prevents duplicate reviews on your site. However, you can allow users to edit their reviews later if they want to. Furthermore, the plugin helps to display product ratings on Google search results. This can be a great way to direct traffic to your site if a product has got great reviews. The plugin is WPML compatible, so you don’t need to worry about translations. You can purchase a single site license of this plugin for $79. Compared to the other two, this plugin is relatively new but offers good customization features. With this plugin, you get to choose the review style, categories, and the products on which reviews are allowed. It also helps you to allow social media login or visitors to leave a review. Moreover, it has great options to creatively present the review summary of each product. This way customers get an instant perception of the review statistics and easily take a decision. 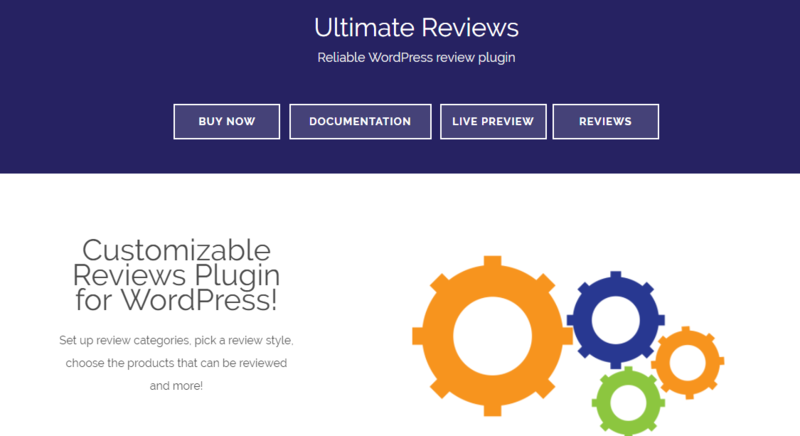 The plugin offers great features to revamp your reviews page for better conversions. The plugin can be purchased at $39.99 (tax not included) for a single site license. The detailed documentation and video tutorials should help you a lot in setting up the plugin. You cannot just assume that customers would write a review if they had a positive experience with your product. Most of the time, a follow up email soon after the purchase, asking for a feedback would open a channel of communication. If by any chance, the experience is negative, you still have a chance to fix it. So, naturally, customers get a feeling that you care about how your experience was with the product. Asking customers for a review of your product is always good. However, it might backfire if you are not asking it at the right time. Generally, customers would be conscious of the product experience when it still has some novelty attached to it. According to studies, within 24 hours after getting hold of the product, customers will be in the right frame of mind to give an opinion on it. Sometimes, to promote reviews on your site you can offer small rewards to customers who are doing it. It need not be huge offers, but often a small discount on their next purchase might just do the trick. However, you may have to make sure customers are posting genuine reviews that add value to your site. Also, the reward programs can be for short term so as to just give a boost to the overall process. When a user decides to write a review on a site, the person is spending the time to interact with your site. If the whole experience is taxing, it might not work out good for you. Make sure to keep the whole thing simple and easy to process. A feedback form, which has relevant insights into the specifics of your product might really work in your favor. However, make sure it’s not too long and time consuming for your customers. Reviews are a great way to interact with your customers. And this is applicable to all reviews, irrespective of it being positive or negative. When it shows that you respond to reviews promptly, more people will be motivated to leave a review. This will also improve the credibility of your site. Reviews are a great way to boost customer perception of your brand, and thereby sales. Multiple studies point to the benefits of reviews to influence customer decisions. WooCommerce store owners can easily utilize this insight to their advantage, with multiple solutions available to enhance the review capabilities. The article has presented three popular WooCommerce review plugins that you can use to offer a great review experience to customers. Please leave a comment below if you have any queries or insights to share with us.